Thank you for considering Caramel Studios to create your montage. 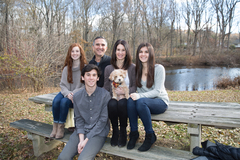 My passion for taking photos and preserving memories naturally led me to create photo montages for my family, including my daughter's bat mitzvah, birthdays, special anniversaries, vacations, school, graduation, etc. My creative flair caught the attention of family and friends who encouraged me to turn my passion into a business. How did Caramel Studios begin? It all started when my oldest daughter, Caroline was in kindergarten. I surprised her class and made a montage of their school year, and gave each child a dvd. As class mom, I was always in the class snapping photos - so I put the photos to music and created a story of their year in kindergarten. Needless to say their were tears from the parents and laughter from the kids. Years later, I still hear stories of how the kids pull out their dvds and watch them over and over again - it makes me SO happy! It grew from there. It was such a hit, that it became clear that I 'needed' to make one every year, for each of my kids. As I became more experienced, the montages became more exciting, with video clips and many new special effects. I also made the elementary school graduation videos for Caroline and Melanie's classes. This was a fun challenge, to take 6 years and 80-100 kids and turn it into an entertaining video to show at their ceremonies. If you choose to work with me, I will create your montage as if it were my own. If I don't get emotional watching the montages I create, I keep tweaking until I do! Take a look at some of my samples. Hopefully you will see that my attention to detail, careful music selections and ability to tell a story through photos and video shines through. It's the perfect way to remember those special events in your life. Wonderful for your family to enjoy now and for generations to come. Why the name Caramel Studios? 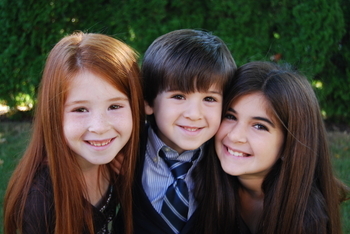 Named for our wonderful kids ... Caroline, Melanie & Andrew! Combining their names, creates the name Caramel. Since I adore my children, who happen to be very sweet...this became the perfect name for my company!!! In fact every montage includes a few caramel candies!